This will become a new monthly linkup! Add your October post of Book ~ Cook ~ Look below. Thanks! Happy Feast of the great Pope Saint John-Paul. Also known as my boyfriend. I tell my family that IF I ever make it to Heaven, they will know where to find me because I'll be perched next to JP2. I don't know if this will become a regular segment around here, but I have a couple of good books in my stack, some yummy recipes we've been eating, and an outfit inspired by Walmart! Please feel free to post your own Book ~ Cook~ Look and link up back here! Can't wait to check you out! Kate Wicker has been a bit of a girlcrush of mine for a long time and it's easy to see why. She's witty, cute and bubbly, she writes beautifully, she has a bunch of spirited children, she's married to a physician which means she's doing a lot of the parenting duties, and she loves to workout. She's also real. She has struggled in the past with an eating disorder, her kids aren't always perfectly behaved, and sometimes her perfectionism has gotten in the way of her role as a mom. I'm sure a lot of us can relate to her. Another message that stuck out to me is when Kate writes, "Our highest calling in this life is not mother but child of God...Our value is attached to our identities as cherished children of God." I think becoming a mother can definitely feel like our most important role that it's easy to get caught up in the mommy wars, stressing ourselves out about every decision, and then feeling personally responsible for our children's behavior - both good and bad. When we remember that we are human beings loved into existence by God, and not human doings whose worth is based on our deeds, it's a bit freeing to focus on just being God's daughter and then teaching our children how to be His sons and daughters as well. I also want to point out that there are so many funny stories that Kate shares in her book, ones that we can all relate to, like when her daughter forgot her lunch at school, again. While she knew she was probably being judged as a bad mom, Kate decides to give her daughter a chance to be hungry and learn a lesson instead of coming to her aid, again. Working at a high school, I see so many moms and dads dropping off forgotten lunches and sports equipment all.the.time. Everybody makes mistakes, but if a kid continues to be irresponsible, having mom step in to fix it doesn't teach them any consequences. Kate explains that while we may want to protect our children from all harm as mothers ("smothers" I call them), we have to let our kids fall and get up on their own. We need to teach them the value of redemptive suffering and allow them to learn lessons the hard way sometimes. Even Our Father allowed Jesus to fall again and again for our sins. Like she says, it's called Tough Love for a reason, it's tough on both the child to learn and the mother to allow! The book has so many more good points, but I can't rewrite the whole story here - so just go get your own copy :) I would have REALLY appreciated this book when I was a brand new mom, it would have been nice to learn these lessons from someone else's experiences than to have to have gone through some of them myself. Perfectionists have a lot of letting go to do, and Kate Wicker is an enlightened guide. A nice cozy weekend outfit, inspired by this Long sweater from Walmart, over this tank with my favorite cheap leggings. 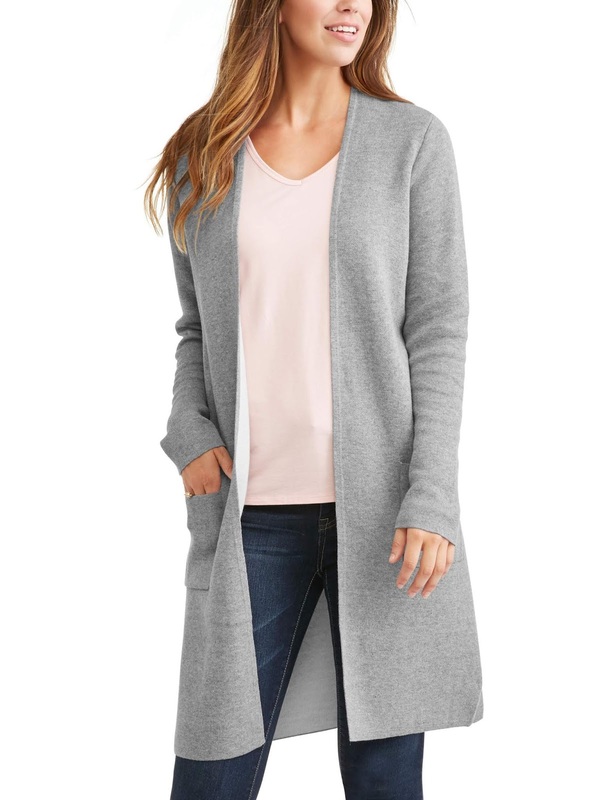 Shoutout to Susan who tipped me off about this cute sweater. Melt butter in skillet (I use a big electric skillet) with a little olive oil (you want enough to butter/oil to cover the bottom). Put flour, salt and pepper on a plate, and coat each chicken in the flour mixture, shake off excess, then place in skillet. Cook until lightly browned on each side. You will have to cook in multiple batches, and then move cooked chicken to a platter that is keeping warm in oven until all chicken is cooked. Once all chicken is cooked, it's time to make the sauce! Add all ingredients to skillet as you whisk the delicious browned bits that were left behind into the sauce. Let the sauce simmer on low and reduce by half. Then add back in all the cooked chicken and cover with sauce and let simmer for a few minutes more. Sprinkle the cooked bacon on top and serve. That chicken sounds amazing and I've noticed lately that Walmart is definitely trying to up their clothes game. Meanwhile, it seems to me that the clothes from Target are getting weirder and weirder. And you can make it low-carb by skipping the flour and using some kind of maple syrup substitute, if that exists! 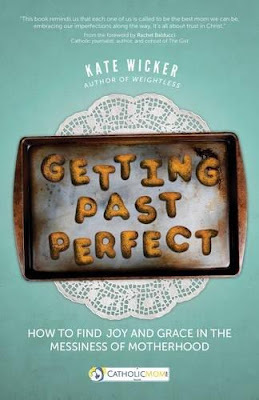 Thank you kindly for reading Getting Past Perfect and for your review! :-) Sheepishly, I will be going against my own advice and dropping off basketball clothes off for a certain forgetful child who has basketball tryouts today. This is her one get out of jail free pass. I also love the idea of "Book, Cook, Look." May I jump on the bandwagon at some point, giving you credit for the idea of course? I am totally trying that Maple chicken recipe! looks so good and perfect for big fam dinners. I wonder, can I make it on my instant pot? Love the new link-up. Will have to "cook up" a post!